Need some last minute gluten-free Super Bowl snacks? I have a five simple solutions ’cause goodness knows, I need some. I didn’t plan ahead for tonight’s event. In fact, it was just this morning that I decided to join the party frenzy that is the Super Bowl. In my state, the fact that it’s Sunday eliminates the possibility of grabbing some beer to take along, so at my regular Super Bowl party, I am required to bring food. I didn’t wake up early. I don’t really want to cook anything. I don’t want to spend a fortune. I want to just run in my neighborhood grocery store on the way to the party and grab some food that everyone will enjoy and that is gluten-free…for me! I can grab some HERDEZ® Salsa Verde and a bag of my favorite tortilla chips. Made with freshly harvested green tomatillos, savory onions, spicy serrano peppers, salt and fresh cilantro, the HERDEZ variety is delicious. While I prefer the green salsa, HERDEZ also makes red salsa. It’s sold in several varieties in small cans at my local store. I can grab a variety so everyone can enjoy their preferred flavor. 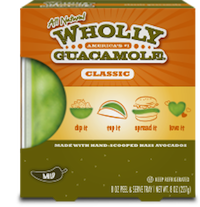 For added pizazz, I can pick up a container of Wholly Guacamole® ready-made guacamole. It may be prepackaged, but it’s made from natural ingredients and does great in taste tests. If it turns out I’m not in the mood for Hispanic flavors, I may opt for hummus with a large bag of baby carrots. 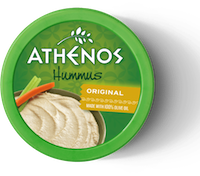 Like the salsa, hummus is often stocked in several varieties in addition to the original – roasted red pepper, garlic, black olive, artichoke garlic, etc. While I’m on the chip aisle, I will walk past jars and cans of mixed nuts, bags of pistachios still in the shell, and bags of roasted cashews. 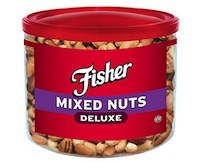 I’m careful about dry roasted nuts that may not be gluten-free, but there are many options that are just fine as an addition to my party contribution. I might even throw in some M&Ms in the color of my favorite team’s jersey. If I’m in a real hurry (very possible today), I will take a serving plate out of my cupboard and then head straight for the pickle aisle at the store. 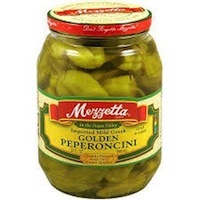 My usual choices are a crispy dill pickle, a sweetish bread & butter pickle, some peperoncini peppers, and almond stuff olives. If I have an extra minute, I’ll get some white cheddar cheese too. Once I arrive, I’ll arrange it all on my serving plate and call it good. Even if you live in a remote area, most of these items will be available in your local grocery store. 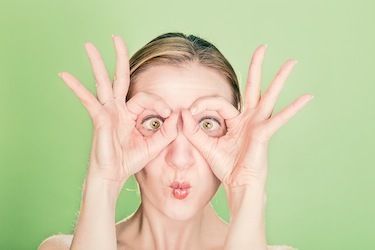 You don’t have to worry about searching for the words gluten-free on the label. Just make sure to glance at the ingredients to make sure there are no questionable items included. Thank goodness, I have these simple solutions because I’ve got to get back to the laundry or I’ll be wearing dirty clothes all week. I’m sure you have some great simple solutions for Super Bowl food as well! Share them with us. We’d love to hear them.